Why would we want to Time Travel, accessing Quantum worlds? How does it benefit us and humanity in general? How does it help the Earth? You may wonder these things……. This ability to time travel, that we have, is mostly dormant and unexpressed in our daily lives. We continue to live our 3-D lives and yet we sense there is so much more… to know and to Be. How can we learn about the higher worlds? How can we experience what the dolphins know? We recognize it in them, and we admire it. This is what we have learned to do at Sky Island Ranch, and this is what we will be doing here together, thanks to the dolphins and whales of Hawaii. We can activate ourselves now, to go gently and simply into Higher Consciousness, into the worlds where our Loving Guides and Celestials and Cetaceans live. The places where they reside and spend their time. These beings of Light are not limited to three dimensional realities. They are multi-dimensional beings. They are demonstrating these inherent abilities to us. There is nothing to stop us from joining them in this joyful evolution -- except our limited thinking! Going to these other realms by choice at any time, helps us to understand the multi-dimensional world that we are accessing in 2012 and beyond. Accessing the powerful portal at the Ranch, we will enter the location (19.5 degrees) designated as a quantum access point in hyperspace connecting the Earth and our greater Universe. Entering a vortal tunnel, we pass through it, and have contact with duplicate aspects of ourselves that are fulfilling our enlightened spiritual choices in a parallel timeline….Knowing that the Universe is infinite in all dimensions, making life infinite with countless probability outcomes. The process will open a path to alternate versions of yourself who already have all the skills, knowledge, abundance and life experiences you desire. As we learn to be comfortable with entering many domains at will, we also experience diverse ways of living that enhance our present life and extend forward from us to assist the planet and our Star friends. It is the new Template, the new pattern, that we as aware people have known we were meant to teach and share. 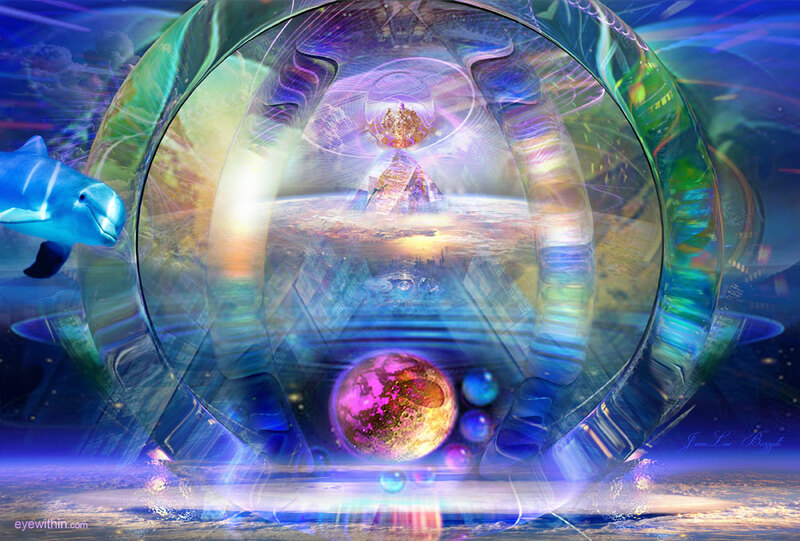 Through this process we can become inspired healers, teachers, avatars, leaders, altruistic, open-minded, loving, conscious galactic citizens….. prepared to enter the spiritually advanced Universal civilizations with benevolence and wisdom. All of this is completed in the spirit of FUN, which according to the dolphins and whales is the most important aspect of our life on Earth….. Joy, Harmony, higher learning, good health and happiness, gained in a spirit of joy and laughter. I am so glad you will be here to have FUN with us. Pleae join us for our Seminars.